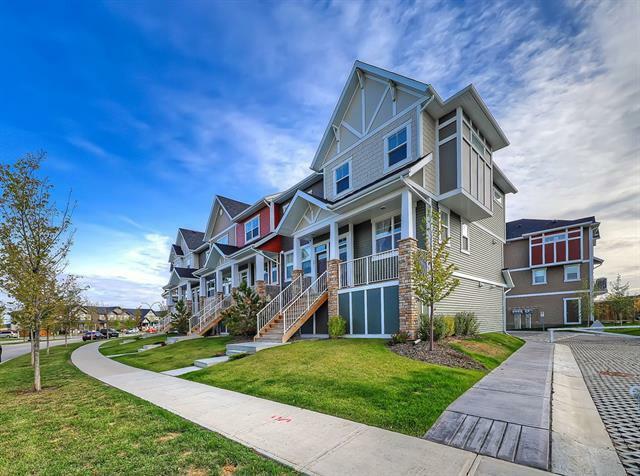 IMMACULATE 3 bedroom, 2.5 bathroom QUIET END UNIT with an ATTACHED DOUBLE tandem GARAGE! Perfect location; just a short walk to the BEAUTIFUL paths and ponds of Kings Heights! 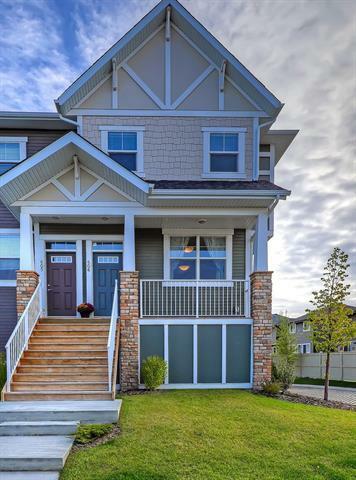 Great schools, parks, paths, ponds come see why Kings Heights is a favorite family community! High quality built with R12 Rockwall sound deadening insulation. There is even room for TWO cars or your toys in the 304ft x 11'1ft Attached Garage. Upgraded to the highest quality. 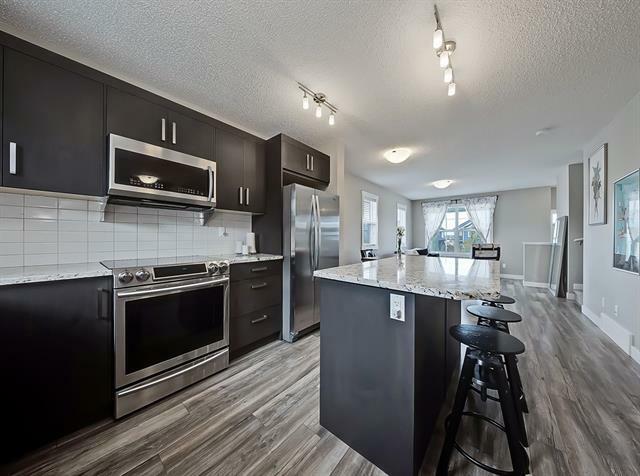 Front access with a covered spacious front patio area or head upstairs from the garage from the tiled back entrance to the open concept Living area w/ wide plank highly durable Laminate floors & so much natural light with End Unit extra windows. 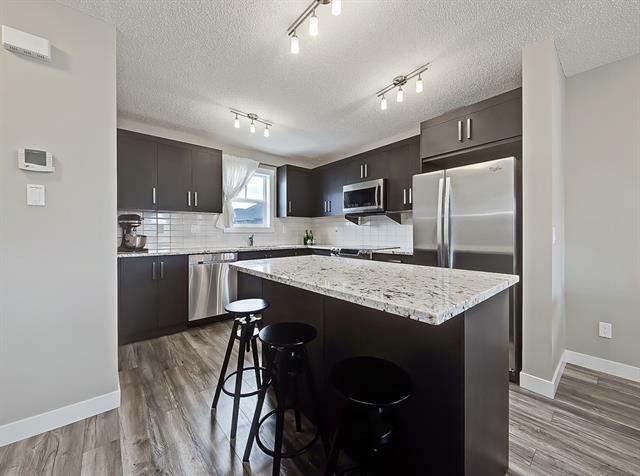 The Kitchen features GRANITE counter tops, Dark Rich Cabinets, huge Center island & stainless appliances. Upstairs is the Master Bdrm w/ Walk-in Closet, 4pc Ensuite w/ GRANITE Vanity, Tile and 2 additional nice sized bedrooms, full 4 Pc Bath w/ Granite and Tile. Convenient laundry space w/ Stand-up Washer/Dryer.